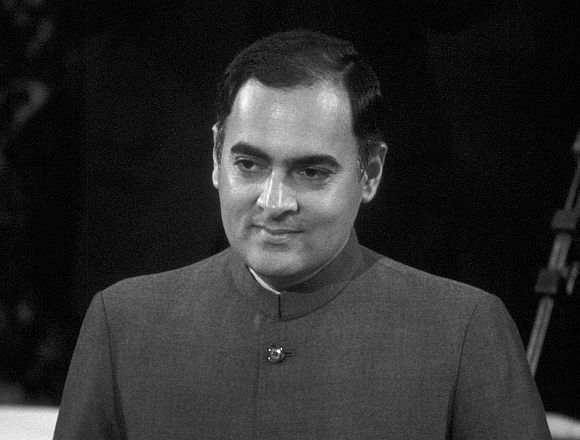 Contradicting perceived proximity to the Soviet Union in the Cold War era, India under the then Prime Minister Rajiv Gandhi had toyed with the idea of supporting anti-Russian civilian groups in Pakistan if the then Zia regime was thrown out by Moscow, a recent declassified Central Investigation Agency document has claimed. According to CIA documents of the era, which were recently declassified and posted on its website under the Freedom of Information Act, which is similar to India's Right to Information Act, Gandhi wanted non-interference from both the United States and the then USSR (The Union of Soviet Socialist Republics). "Prime Minister Rajiv Gandhi would like both the USSR and the United States to end their involvement in South Asia," noted the 31-page CIA document titled 'The Soviet Presence in Afghanistan: Implications for the Regional Powers and the US'. "New Delhi regards Pakistan as a strategic buffer against the USSR and would oppose Moscow's effort to dominate Pakistan. New Delhi and Moscow would find themselves supporting rival factions within Pakistan," said the report, according to which Moscow had plans to change the regime in Pakistan and extend its influence beyond Afghanistan. In that case, the report said, "The Indians would seek to significantly reduce their dependence on Moscow and reorder their strategic relationship with the USSR, the United States and China if they perceived Soviet ambitions as extending beyond Afghanistan toward the subcontinent." According to the report, the Soviets tried to heighten India's suspicion about Pakistan's intentions and its security relationship with the US in order to foster Indo-Pakistani tensions and heighten New Delhi’s dependence on Moscow. "In Soviet view, conflict between India and Pakistan would work toward solving Moscow's Afghan problem and would give Moscow opportunities to strengthen its position in South Asia," the report said. "If (Gen) Zia (Ul Haq) regime were to fall, the Indians might try to prevent Soviet attempt to dominate Pakistan by supporting rival Pakistani political factions, Soviet military moves against an already neutralised Pakistan could even result in military confrontation with India," it added. Six months later when Gandhi was planning to meet General Zia on the sidelines of the UN General Assembly meeting in New York, the CIA analysed that the then Indian prime minister, despite his strong public views on Pakistan's nuclear weapons programme, was unlikely to push him hard on it. "Gandhi is unlikely to push Zia hard about the Pakistani nuclear programe, although he probably will at least mention his continuing concern," noted the top secret CIA document dated October 21, 1985. "For his part, Zia is also likely to propose ideas on ways to improve the bilateral relationship. He may suggest regular high-level diplomatic talks in addition to the formal joint commission sessions that focuses on trade, communications and cultural exchanges," the report said. "Zia may also solicit Gandhi's views on whether -- as the Pakistani’s believe -- the Soviets are becoming serious about a negotiated settlement in Afghanistan," it said. Who is Adil Shahryar and why was he part of Sushma's defence?